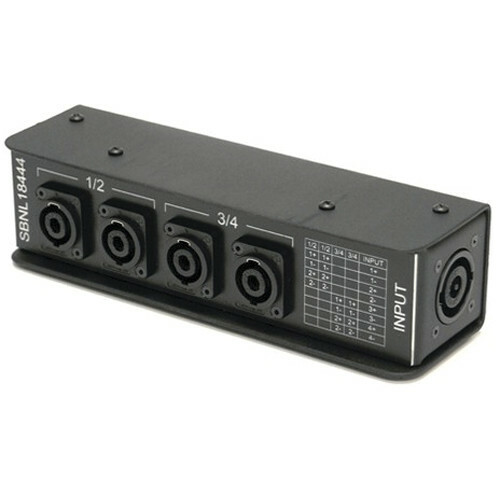 The SBNL18444 from Whirlwind is a compact Speakon splitter box designed to be used with biamped speaker cabinets. It features a single NL8 connector and a set of 4 NL4 connectors, which have 4-pole wiring and are arranged in pairs. The box has a rugged steel housing for professional use. Box Dimensions (LxWxH) 10.35 x 3.15 x 3.0"